People have been talking a lot about cover art lately, what with all the Best-Of Lists floating around this time of year. When it comes to cover art, I’ve found that people are shockingly opinionated. Maybe you can’t judge a book by its cover, but you can still judge the cover. Sometimes cover controversy is about larger issues, but more often than not it’s pure aesthetics: what looks good, what looks really bad? I can usually guess when our production and editorial departments are meeting about a cover because they stay in the conference room for a looooong time. For a couple of reasons, I think children’s and YA covers can be more challenging to design than adult covers. First off, they sometimes have to appeal to a fairly wide age range, and the difference between a 6-year-old and an 11-year old is not the same as the difference between a 35-year-old and a 40-year-old. Older kids don’t want a book that looks babyish, and younger kids don’t want a cover that looks old. Plus, boys don’t want to read “girl books” and vice versa. Not to mention teenagers, who–as usual–have their own set of demands. With so many factors, it’s a thin line between appealing to the widest possible audience and appealing to no one at all. What makes a good book cover, then? What books have you bought for the covers? Hannah, you ask hard questions! The perfectionist in my is now trying to remember *every* book I’ve ever read for the cover. That… would be a very long list. Oooh, I did love the cover of ASH. I wanted to read it before, but the cover definitely put me over the edge. I just love the cover for SHIVER. Also, the hardcover over THE FOREST OF HANDS AND TEETH was so intriguing. Both covers inspired me to buy the books so I could display them on my shelf. (Apparently I like covers with trees on them.) They’re coming out with a new cover for FOREST which isn’t bad, but I don’t think it’s quite as striking. annastan, I agree on SHIVER. As for FOREST OF HANDS AND TEETH—well, I keep looking at that great cover, and reading raves, and thinking, “man, I should read that.” But then I remember, zombies. I don’t like zombies. And then I don’t pick it up after all. I ALWAYS judge books by their cover. In my experience, if the writing and art is strong, everyone involved will want to have a hand in making a stand out cover. For picturebooks, the art grabs me first, but for novels, strong/interesting design wins out for me. In thinking about the first time I saw the cover of Life of Pi, I recall seeing it and just LOVING the imagery so much I decided on the spot to get the book and read it. I didn’t even look inside. I just figured, they deserved the sale because of what a totally RAD cover the artist had done. Then with Moses, I just fell over and lay on the ground for a long time, in shock. When I came to, I took a second glance at the cover and fainted again. Eventually I could look at the book without bursting into tears over its beauty…. wow. Although I’d heard good things about these books before I saw the cover. The artwork cinched it for me. 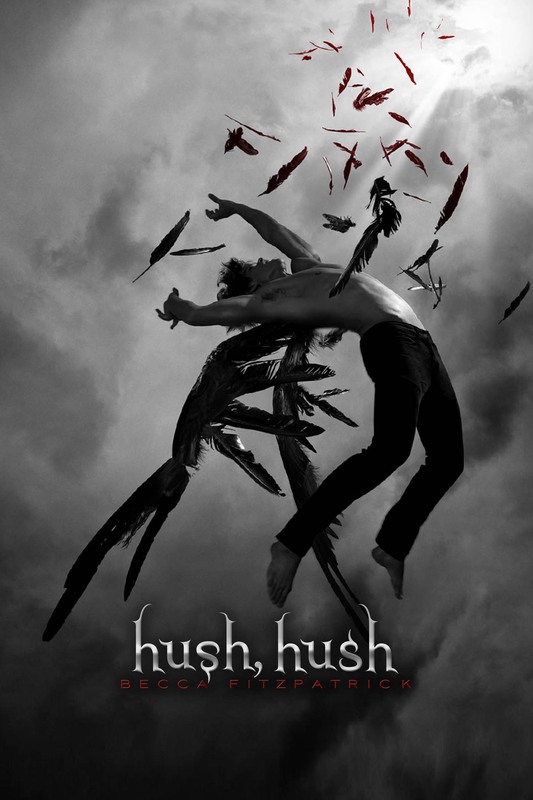 Meg, Hush, Hush does have an excellent cover… but personally, I think it’s outshined by the cover of the other new YA-romance-with-Fallen-Angels. 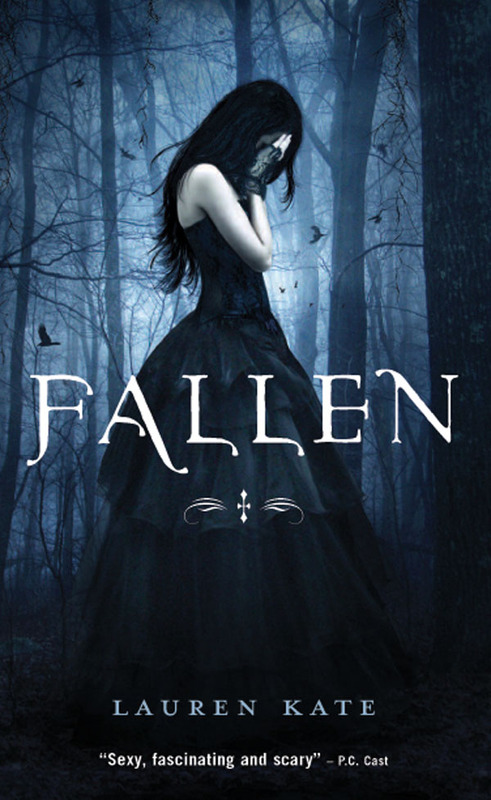 Hush, Hush is more dramatic, but I love the eloquent simplicity of Fallen. So many great covers! Annastan, I do love the cover of Shiver. Ditto for the Life of Pi, Jesse (and the book totally delivers). Moses is lovely too, though I might be partial to Kadir Nelson’s cover for Coretta Scott- so beautiful. One thing I gravitate toward is buying books with the original cover rather than the movie cover version. I feel the original cover has a closer relationship to the book, where as a film is almost always a completely different animal. I’m a huge fan of design, and a great book cover, one that moves me in some way, always makes me smile! I agree though, when my son likes a book, he really gets into it and if it doesnt appeal to him i can tell, case in point i bought him a shaun tan book. the cover was dope! The art was dope, but him, “not interested”….Thx for the convo. While I can’t add to your above list, I’ve always found that book cover designs that tell you what the book is about without reading the title to be the most powerful.